Being a kid is great. You don't have to worry about looking silly or fitting into what others' expectations. I own a scooter or as I like to call it my urban transport device. 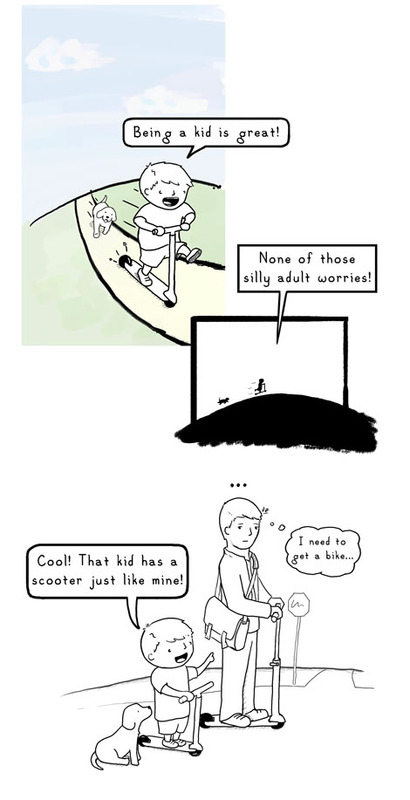 And this comic is partially inspired by a real event, when a kid at said "look mommy! That big kid has a scooter like mine!"